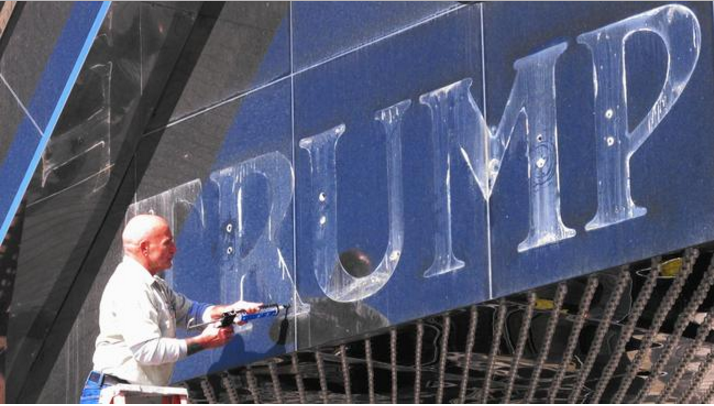 Since the president’s 100th day in office last week, gold toilets marked with the words, “Take a Trump,” have appeared in cities across the U.S. including Los Angeles, Chicago, Denver, Austin, Portland, Las Vegas and Miami. An artist who went to school in Indiana told the Indianapolis Star website, IndyStar, that he initiated the idea the day after Trump’s inauguration when he saw coverage of the massive women’s marches all over the country. He asked to be anonymous, although others have given the name “Art” in interviews. 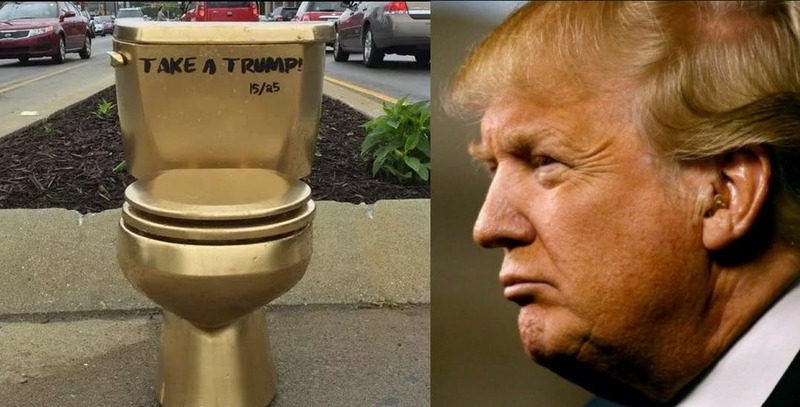 He sent each artist who agreed to participate a package with how to decorate the toilets with “Take a Trump,” and pig stencils. He advised that they should be placed in highly visible locations where there is a lot of foot traffic, to get people to take photos and start a conversation. In Indianapolis and likely elsewhere, the toilets were quickly removed by public works employees who said it was a hazard that could pose a safety risk. What these street artists are doing is part of an emerging movement across the country to react to the abhorrent Trump administration policies that have stunned and shocked many people who until now have been apolitical. Not since the 1960s has there been such a spontaneous eruption of angry protests against the President and his administration by everyday people – who are not rich, famous or politicians. Bernie Sanders backers call what he started a revolution, but this could be a sign of an even greater grassroots revolution that will impact Americans, coming elections and the dialogue about what kind of country the majority of people want.